/ Is MyLeadSystemPro a Scam? Founded by Brian Fanale, Norbert Orlewicz and Todd Schlomer in 2008, MyLeadSystemPro is an online training marketing system that you are able to utilize to grow your multi-level marketing business. 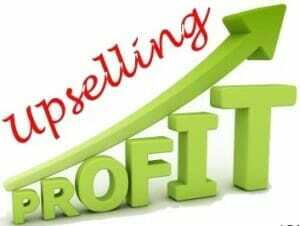 They encourage entrepreneurs and network marketers, and offer them the knowledge and tools to generate results. This online training marketing system offers educational materials, as well as detailed training webinars and videos. On top of that, they provide a complete system to market your business. So, What is MyLeadSystemPro About? This is a question that often comes up, whether or not MyLeadSystemPro is a scam. The simple answer is no, MyLeadSystemPro is not a scam. However, that doesn’t mean that it is the best option for you. As mentioned before, Attraction Marketing can be a difficult skill to master and that means many people do not find success with the program. However, just because the program doesn’t work for everyone, doesn’t mean that MyLeadSystemPro is a scam. What discourages some people, is the fact that many training videos contain a decent amount of fluff. It’s often to the point where you might get half an hour of good content, in a two hour video. The lofty pricing and up-sell scheme also puts prospective members off, but we will get into that in more detail later. As you can see, the pros of MyLeadSystemPro also integrate into the cons. The great thing is that the program offers two pricing plans, so you can choose one that fits your budget. The negative is that the MLSP University membership often doesn’t offer what you really need, so you will need to upgrade to MLSP Mastery. MLSP also offers great educational tools and training, with weekly live webinars as well. The drawback here is that there is often a bit of fluff to sit through, and you are being upsold throughout large portions of the videos. The other drawback to MLSP, is that Attraction Marketing is a tough skill to master, and it often takes a while to gain any traction, if you even do. This causes some to wonder “is MyLeadSystemPro a scam?” and rightfully so. 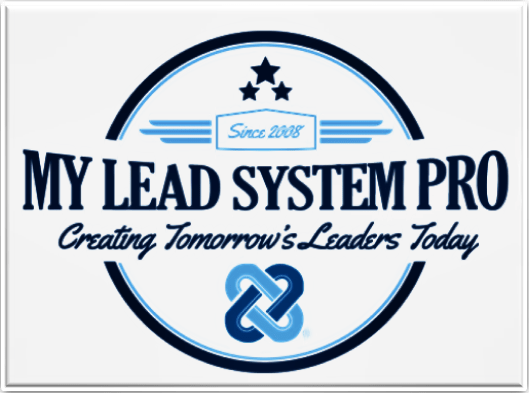 MyLeadSystemPro essentially provides two things, trainings and a complete system to market your business. The training is for network marketers on how to utilize the internet to create leads, recruits and sales. The complete system also offers access to pre-made capture pages and pre-written emails to send out to prospects daily. Many established network marketers will already have this information and these tools. While some wonder if MyLeadSystemPro a scam due to this, the fact is that MLSP is really just more for novices or network marketers who are not already well-versed in the arena. Although MLSP position themselves as the program to be offered for both novice and experienced marketers but it is far from being an easy program to learn online marketing. If you are just starting out and looking for legitimate program that you can sign up for FREE I highly suggest to read my #1 Recommended Product. When it comes to training, MyLeadSystemPro definitely has something to offer. They are an online training marketing system, after all. Aside from the webinars and guides provided when you first sign up for MyLeadSystemPro, you also have access to additional training and global customer support. They generally do offer a legitimate service. The program provides on-going training and educational materials, but the best feature may be the weekly webinars. With these, you know that materials are constantly being refreshed and won’t go stale a few months after signing up. If in-person meetings and learning is more your speed, you can also capitalize on the “Live Your Dream” event that is hosted every year. For those asking “Does MyLeadSystemPro work?” those in attendance can tell you that it does, and that MyLeadSystemPro is not a scam. Price is definitely an important aspect to consider when you are looking at an online training system. You want to be assured that you will be getting an adequate return on your investment, which is why you want to know “What is MyLeadSystemPro about?” when it comes to pricing. For just $49.97 a month, you will get access to the MLSP University. This gives you access to CRM, marketing training and education, custom webinar invites, a beginner marketing guide, marketing schedule, new member webinars, and even global support. That sounds like plenty, right? Unfortunately, it isn’t. To gain access to more advanced materials, you will need to invest in the MLSP Mastery plan, which will run you $149.97 per month. With this upgrade, you will get mastery level webinars and training, as well as a professional blogging site, among other resources and tools. That seems like enough, but here’s the real catch. MyLeadSystemPro will still try to sell you additional upgrades. Paying almost $1,800 annually is a significant investment in any online marketing platform, but MyLeadSystemPro will try to sell you on the MLSP Training Library for a one-time cost of $797, the Attraction Marketing Intensive for a one-time cost of $297, and even something called the Sound Traffic Mogo for $149.97. When you look at the package in its entirety, you are looking at $1,800 annually for the MLSP Mastery Plan, with additional costs totaling up to over $1,200. You better have a resounding yes to the question of “Does MyLeadSystemPro work?” if you are looking at a program potentially costing $3,000 in one year. Can you imagine how many up-sells this program has? It’s absolutely insane. The only reason I gave it 5/10 rating is due to some value this program offers, but not for this kind of money. Basically the owners of MLSP really thought out the whole system through to get you hooked on initial $49.97 per month and then upsell high ticket additional products within the program. There are many better alternatives online where you don’t have to pay these crazy up-sells in order to unveil full access. Does MyLeadSystemPro work? This is what it boils down to when you determining whether or not to shell out the cash for their services. The simple answer to this question is – sort-of. There is certainly value in MLSP, but going as far as to self-proclaim themselves the “equivalent to the world-class Harvard school of business for entrepreneurs,” seems like a bit of a stretch. Since 2008 MyLeadSystemPro members have created 3,156,050 leads, but the $149.97/month plan, just about $1,800 annually, doesn’t even give you access to everything. At such a lofty price point, MLSP shouldn’t need to upsell you for the MLSP Attraction Marketing Intensive, Sound Traffic Mojo, and MLSP Training Library. That being said, if you are wondering if MyLeadSystemPro is a scam?, the answer is no. They are a legitimate company, but that doesn’t mean that you are guaranteed to get rich on their product. Their training is decent and they do have successful members. It is just important to remember that the learning curve can be steep and it can take a lengthy period of time to gain any traction with this platform, if you ever do at all.